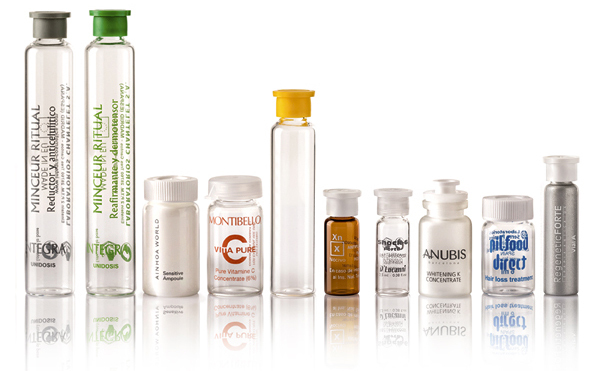 Single-dose bottles, from 3 ml up to 20 ml capacity, adapted to any sealed or pressure closed type, as well as droppers allowing an accurate application. These bottles are intended for cosmetic, pharmaceutical and dietary supplement use. There are several available finishing: lacquering and serigraphy.